You often hear it said that many people “are just one or two pays away from being homeless”. There is more to homelessness than people sleeping on park benches or in doorways. For some it’s sleeping in a car. For others it’s sleeping on a friend’s couch or in the garage of a relative. This is the reality of life without a permanent home. Worryingly we are seeing increasing numbers of employed people and older women entering into homelessness. Financial stress and the cost of living are now higher than ever before. Working families are struggling to make rental or mortgage payments and are at risk of losing their home. Housing affordability is a huge problem. There is a social and affordable housing crisis right across Australia. Without suitable and secure affordable rental properties, more and more individuals and families will end up with nowhere to call home. Of course, housing is not the only problem. Poverty (particularly for those receiving Centrelink benefits), domestic and family violence, drug and alcohol abuse and mental health issues are all major contributors to homelessness. We must attack the problem on all fronts, including an urgent increase in the supply of social and affordable housing, tailored support services, and a multi-agency approach. Adelaide has taken a lead role with its aim to become the first Australian city, and one of a handful in the world, to achieve functional zero homelessness. 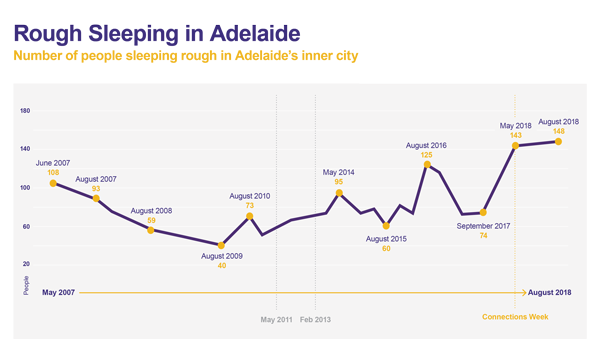 That means we are looking to act on the most visible form of homelessness first, rough sleeping, with the aim that on any given night, Adelaide would have enough accommodation to house all rough sleepers in the city. 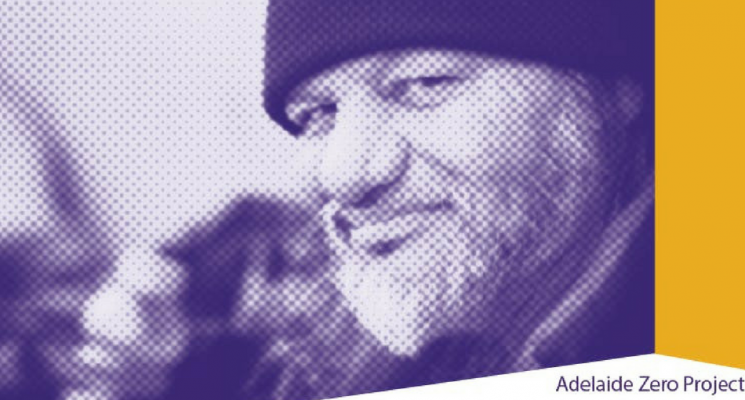 The Adelaide Zero Project has already taken important steps, having met all those sleeping rough in the city in order to know them by name and have an understanding of each person’s specific circumstances and needs. This personal approach is seeing relationships built with the right service providers. Existing and new housing options will be better utilised to move people on the by-name list into sustainable housing. 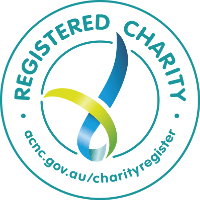 Tier 1 housing providers such as AnglicareSA have commenced the process of sourcing and matching suitable housing with those in need. Through the Zero Project, the community sector, business groups and all levels of Government are working together to end chronic street homelessness in Adelaide. We welcome the effort of the 30-plus agencies dedicated to making this initiative a reality for Adelaide. We encourage others to add their support for this project which aims to not just reduce homelessness, but end it!